The benefits of INDIGO’s developments will be validated in two real District Heating and Cooling installations: Zona Franca – La Marina – L’Hospitalet area (Barcelona, Spain), and Basurto Hospital (Bilbao, Spain). The innovative management strategy and component predictive controllers developed under INDIGO project will be firstly validated in laboratory conditions (simulations) and finally in relevant environment. For the latter a certain test site has been selected: Basurto Hospital, located in Bilbao (Spain). Basurto Hospital was erected during the first decade of the 20th century in the city of Bilbao and currently comprises more than 15 buildings, most of them maintaining their original architectural special features. The hospital belongs to Osakidetza, the public health service of the Basque Country. Heating and cooling demand of the hospital is satisfied thanks to a DHC installation connected to a trigeneration plant (electricity, heat and cold). The DHC system was erected inside the hospital area in 2003 by GIROA, and extended in 2011. This company currently operates the system and also the HVAC in the buildings. Nowadays the trigeneration plant consists of 2 natural gas internal combustion engines of 2MWe (each), some natural gas backup boilers, and 2 absorption chillers plus 4 conventional chillers for cooling purposes. The DC system has 5 MWc cooling capacity in one ring distribution configuration of 2 kilometres (flow and return) length. The district is connected to 11 different consumers and the main demand corresponds to air conditioning (temperature and moisture) of different hospital buildings and facilities. The cooling media is cold water with 7ºC (supply) – 12ºC (return) temperature difference. Nowadays the operation of the DC system is based on a management control that interacts just with the controllers of each chiller. It does not control distribution pumps (no differential pressure control), nor the temperature set point at substations, and the regulation is performed reacting to changes in DC system return temperature. The manager has no input from the consumer side, and the cooling demand is calculated according to historical consumption data. In this kind of infrastructure the cooling demand is very stochastic since it depends on the number of programmed surgeries (operating room usage), rooms occupancy level, etc. so the actual demand value can be far from the estimation. Related to the generation system strategy, the trigeneration plant schedule is worked out according to the electricity price. The internal combustion engines are operated (manual start) during high electricity prices, thus prioritizing electricity generation. During this period heat from cogeneration is used for cooling generation (absorption machines) and the difference with respect to the cooling demand is covered by a pre-established electrical chillers start sequence and/or storage management. For the rest of the time (no electric energy generation) another electrical chillers start sequence and storage usage is automated. 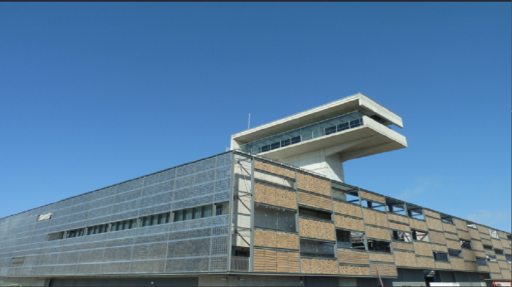 The DHC installation, currently in an early development stage, is a big city project with the aim of supplying heat and cold to a 15.000.000 m2 area in the Barcelona Harbour surroundings. The construction and exploitation of the district belongs to Ecoenergies Barcelona, subsidiary of VEOLIA. Currently two generation plants (heat and cold) are constructed and first consumers are connected to a grid of 5 km total length for two different areas (Zona Franca and La Marina). Special features of the DC system are: two different levels of supply temperature: 5ºC (space cooling) and -10ºC (industrial processes), free cooling from natural gas regasification plant of the harbour and ice storage. Current figures of the demand are: 16MWc for space cooling and 1MWc for industrial cooling.